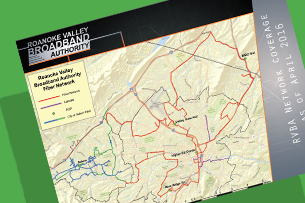 Comprised of thin strands of pure optical glass, the fiber optic cables utilized in the RVBA network carry uninterrupted digital information to and from businesses of the Roanoke Valley using the fastest, most secure and reliable technology available today. With a dedicated fiber optic line, Businesses receive the speed they pay for every time. With no interruption or throttling, The RVBA Fiber Optic Network can move data from all around the world to your local Roanoke Valley business — Up to 200 Gbps! The RVBA network utilizes state of the art infrastructure and equipment to keep your digital data secure, meeting and often exceeding US Department of Defense standards for information assurance and security. A redundant underground loop protects the system from most anomalies. However, in the event of an unlikely system outage, a US-based network operations center provides 24/7/365 proactive system monitoring and support, so we can begin repairing issues to the system before they become issues to your business. The RVBA network has met or exceeded industry standards for repair and restoration of service to get your business back online fast. RVBA’s fiber network has set a new standard as the most reliable option in the Roanoke Valley. Your operational internet speed will never be throttled or slowed due to over-subscription. The system is proactively monitored 24/7/365 to prevent system errors, and since fiber wiring is made of glass, it is immune to the environmental factors that affect copper cable like machinery interference and corrosion. Each service agreement is individually customized to your business needs and requirements, and a RVBA staff member will assist you every step of the way. Contact us at sales@highspeedroanoke.net with questions. 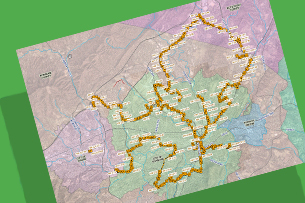 The RVBA Fiber network currently forms a ring around the Roanoke Valley, and businesses gain access by connecting their facility to the ring with a “Direct to Door” connection. Determine the best way to connect by scheduling a site survey and facility assessment with the RVBA at sales@highspeedroanoke.net. Transport Only (Great for data center connectivity and mirroring). The RVBA can help you select the service that best fits your business. Custom last mile and internet system infrastructure build-outs when needed. Rest assured, the RVBA can help you through each step of this selection process and has your company’s ROI and best interest at heart. Pricing for each of the RVBA’s three services has been published since 2015 and is available below. Contact sales@highspeedroanoke.net with any questions. Transport Service without Internet is useful for internal data transfer, load balancing and mirroring. If you are running a data center or need to move data efficiently between locations, then fiber-optic Transport Service without Internet is often the best available solution. For additional questions, please contact sales@highspeedroanoke.net. Fiber optic cable is composed of super thin glass cables that are capable of transmitting data as bursts of light. When a company leases a dark fiber strand, it has access to the fiber optic strand and conduit infrastructure, but not the equipment required to light the fiber and transmit data. This allows a company complete flexibility to procure and leverage whatever equipment is necessary to meet their individual transport needs. Transport Service + Internet allows your business, organization or agency to become its own last mile internet service provider or even sell service to larger external groups. 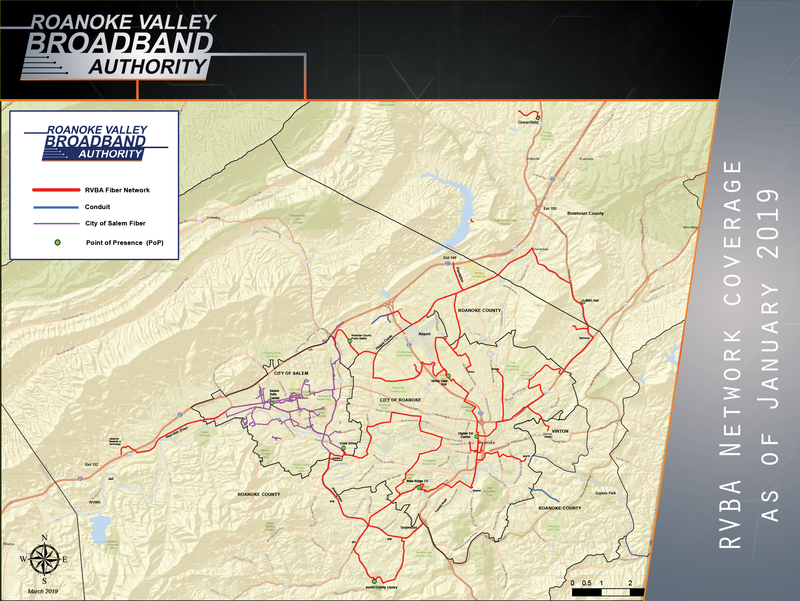 The Roanoke Valley Broadband Authority open-access network offers fully scalable connectivity options for plugging into the fastest, most secure, and most reliable network in the region. For additional questions, please contact sales@highspeedroanoke.net.